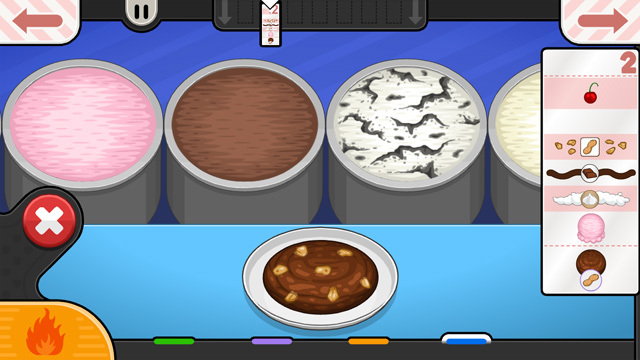 Sneak Peek: Ice Cream To Go! 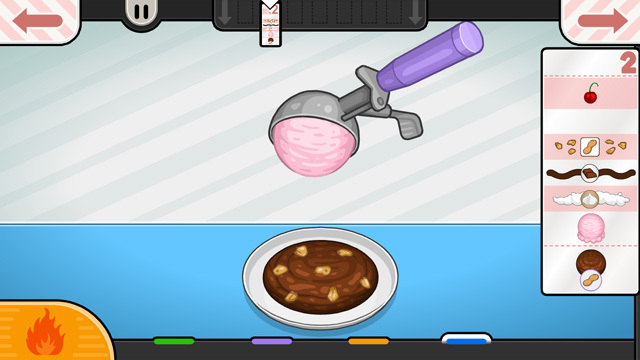 This week we wanted to show off the ice cream scooping mechanics in Papa’s Scooperia To Go! When you first get to the Build Station, you will find a row of ice cream bins. You can browse through all the bins by dragging the row left and right. Then simply click on the the correct ice cream flavor to bring it to the forefront. Here you will make a perfect scoop of ice cream by dragging the scooper around the bin. Then you will drag the scooper over your freshly baked cookie and drop it directly on top. From there we will move onto the final toppings of your order!